get acquainted with the latest in medical technology and healthcare applications. At first glance, the all-new BlackBerry Z10 looks pretty neat, sturdy and elegant. It also appears to deviate from the usual BlackBerry trademark design. As you can see, it has officially ditched the physical keypad in exchange for a large 4.2-inch multi-touch capacitive touchscreen. 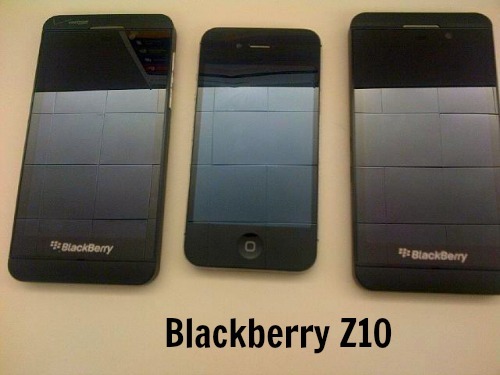 As a matter of fact, the Z10 can actually be considered as the first of its kind. In other words, it’s unique – at least until it gets a lot of siblings. Apparently, the new smartphone is the first to run on BlackBerry Limited’s (the rebranded name of RIM) revolutionary BlackBerry 10 operating system. So if you’re familiar with the BB line, you will feel like things have definitely gone through a major makeover. Speaking of which, here are some of the aspects that makes the Z10 even more unique. The said smartphone features a revamped operating system that aims to provide a better user experience. Considering that the BlackBerry line has been completely overshadowed by iOS and Android, there’s a great possibility that the Z10 will put it back on track especially now that it has the improved version of BB10 OS in its core. There’s also the BlackBerry Hub which gives you a sneak peek of your active applications. It’s quite different from Android’s Task Manager because you can quickly access your running apps by simply swiping your finger. There may be a lot of smartphones with 8MP cameras but only the Z10 has the ability to rewind or adjust your shots using its Camera Time Shift Mode. Gone are those days wherein you will be left with no other choice but to redo your shots just for the sake of getting that picture perfect angle. The Z10 may not have a physical keypad but you’ll definitely adore its keyboard. The keys are large enough for fast typing plus it’s smart enough to learn your typing behaviour. Keep in mind that this a built-in feature of the Z10 that’s why you’ll be able to spare your storage for other important things rather than getting a third-party smart typing application. 4G, NFC, Voice Command and a Whole Lot More! Just like today’s latest smartphones, the Z10 is also capable of connecting to the internet world via 4G connection. It can recognize commands via voice and it can transfer data via Near Field Communication. Not only that, it also has a built-in security feature that will remotely wipe or lock the data that you have stored on your phone.